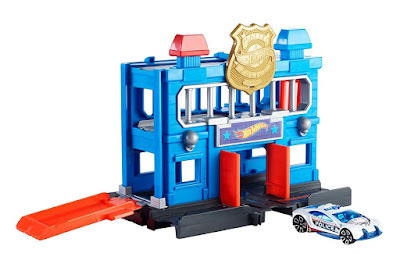 HURRY over to get this Hot Wheels City Downtown Police Station Breakout Playset for ONLY $6.97 (Retail $32.99)! Fuel kids' imagination with this fun-packed assortment of Hot Wheels City play sets. Each set is based on a landmark location that will unlock storytelling, like the police station, fire station, gas station, power plant and aquarium. Look out for the monkey at the power plant and the piranhas at the aquarium!